Vice President, Yemi Osinbajo has warned Biafra agitators and others calling for Nigeria’s separation to stop forthwith. Osinbajo said this in Uyo on Saturday at a grand ceremony organised by the Akwa Ibom government to mark the 30th anniversary of the creation of the state. He urged the people to resist attempts by any group trying to push them to destroy the existing peace in the country. “Peace is the foundation of enduring prosperity and for peace to reign everywhere in Nigeria, all of us as Nigerians must make necessary sacrifices. “We are in a situation where we must take seriously the admonition to love one another. “Whatever complaints we may have must not be an excuse to subvert the social order. “The Buhari government is prepared to engage and listen patiently to all sections of the country. “Citizens everywhere should not sit idle when misguided elements choose to recklessly destroy the common bond of brotherhood and friendship that has put us together for decades,” he said. He assured that the Federal Government would support Akwa Ibom to develop the Ibaka seaport. 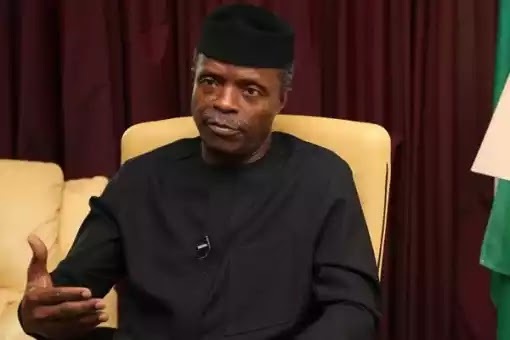 “Provisions have been made in the current budget of Nigerian Port Authority (NPA) for the development of the Ibaka Deep Seaport,” Osinbajo disclosed. Meanwhile, Emmanuel, the brother of Nnamdi Kanu, leader of the Indigenous People of Biafra, IPOB, has revealed the group’s next line of action.